Norton Juniors Featured on NECN! Click the image above to watch the full clip! 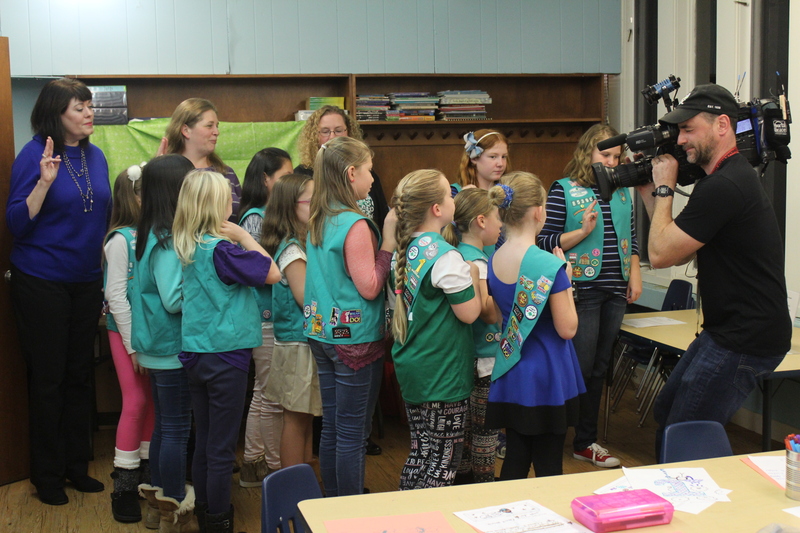 Last Monday, November 14, Junior Girl Scouts from troops 85390 and 65493 of Norton were featured on NECN! As part of their regular “Money Saving Monday” series, the station interviewed the troop members about thankfulness. The girls listed a variety of things they are thankful for, including family, education and consistent meals at home. The girls also spoke about if and how they budget gift-giving with their allowance. Financial planner Steve Anzuoni was also interviewed. He spoke about teaching kids how to save money and give to others: “There is a significant benefit in letting kids experience money and make their own decisions.” We agree! Our time-honored cookie program is designed so that girls can decide together as a troop what awesome activities they will participate in with their cookie program funds. What a great way for girls to learn how to make smart decisions with money. We are certainly thankful for our awesome and thoughtful Girl Scouts!